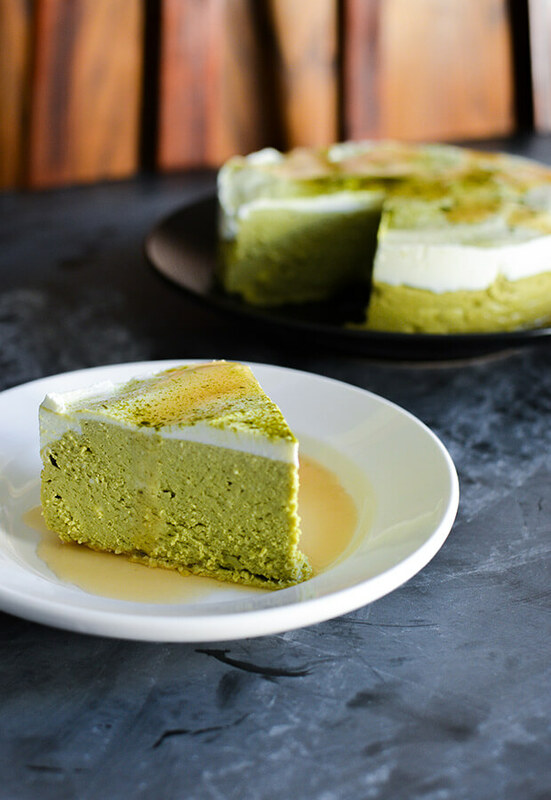 This Instant Pot matcha cheesecake is for those of you who want to eat cheesecake, but don’t want to fuss with the process of making it. It’s best if you make this the day ahead, but I’m not going to lie – I’ve eaten this warm, almost directly out of the pressure cooker and it was still great. 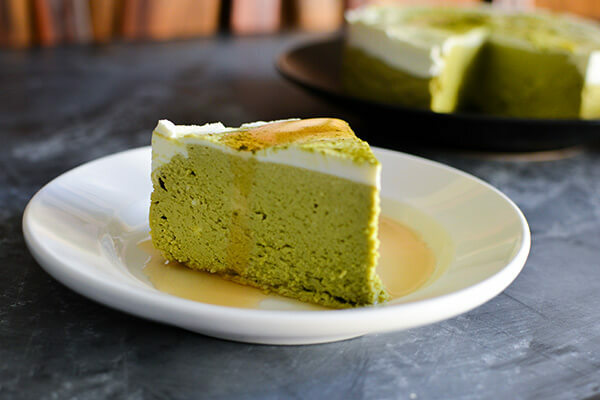 This cheesecake is dense but creamy, packed with grassy matcha flavor but lightened up with sweetened sour cream and a drizzle of maple flavored syrup. I know the syrup sounds weird, but you have to trust me and try this. It’s divine, plus it looks fantastic. 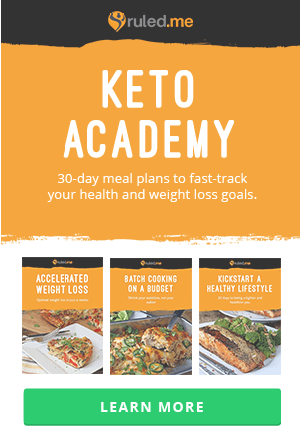 You could also make this with a crust, perhaps almond flour based, but I decided to skip in favor of lower carbs and an even easier preparation. 1. 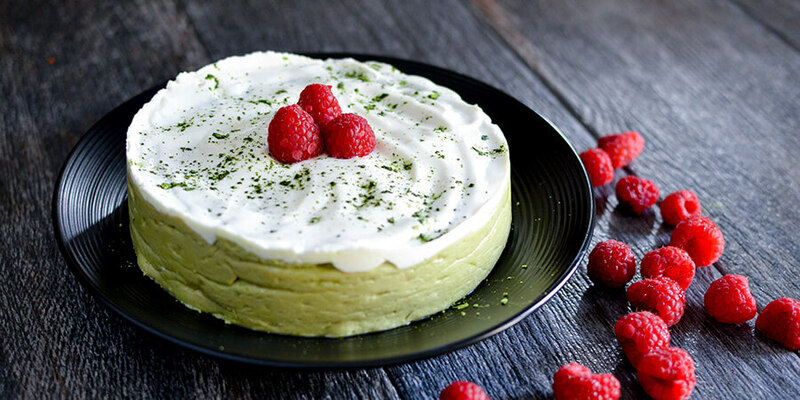 Add the cream cheese, Swerve, coconut flour, vanilla extract, whipping cream, and matcha powder to a mixing bowl. 2. Mix together until well combined. 3. Add in the eggs one at a time. 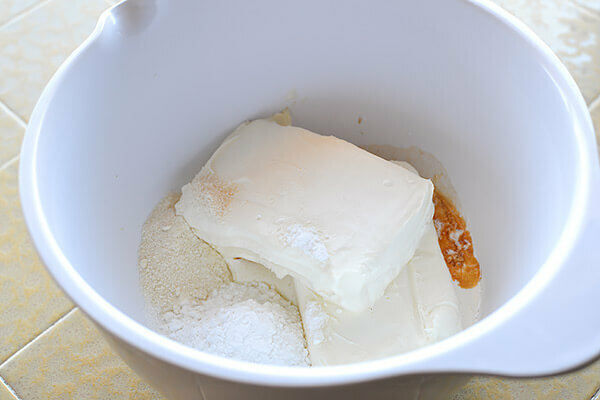 Pour the cheesecake batter into a well greased spring form pan. 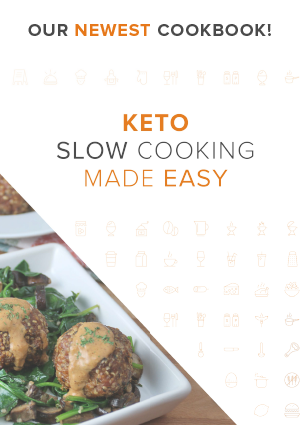 You will need a pan that is no larger than 6-7 inches so that it fits inside your Instant Pot. 4. 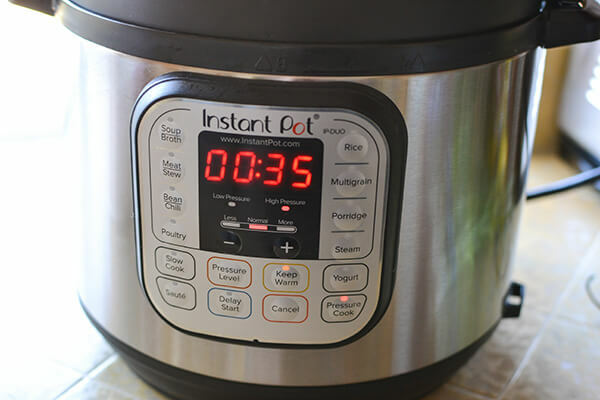 Pour 1 1/2 cups water into the bottom of your Instant Pot. Place the steam tray inside with the handles facing up (you will need these later.) Place the cheesecake on top of the tray then lock the lid and make sure that the valve is sealed. 5. 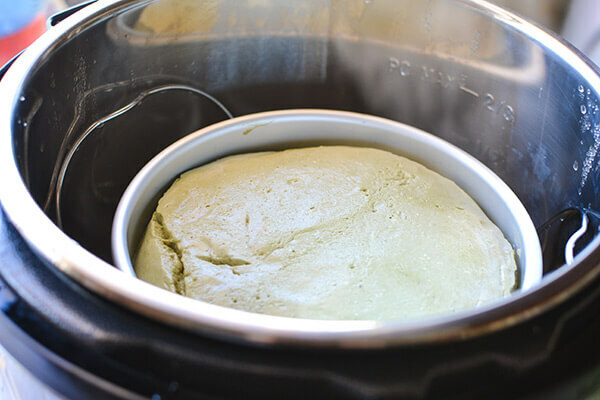 Pressure cook on high for 35 minutes then allow a 20 minute natural release. 6. When you open the Instant Pot there may be some water on top of the cheesecake, just gently pat it off with a paper towel. A lot of the times I also find some cracks, but they are easily covered up with the sour cream topping. 7. Mix the sour cream ans Swerve confectioners together. Spread it out over the top of the cheesecake. 8. Allow the cheesecake to fully cool then store in the fridge for several hours before serving. Serve with a drizzle of sugar-free maple syrup. 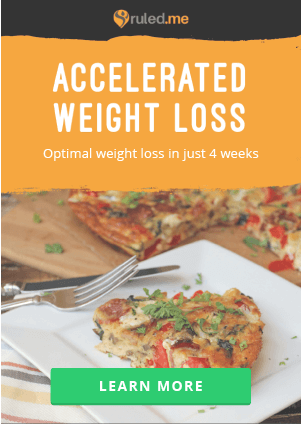 We have a recipe for a homemade version, but store bought is also great. 9. Making this the day ahead is the best. 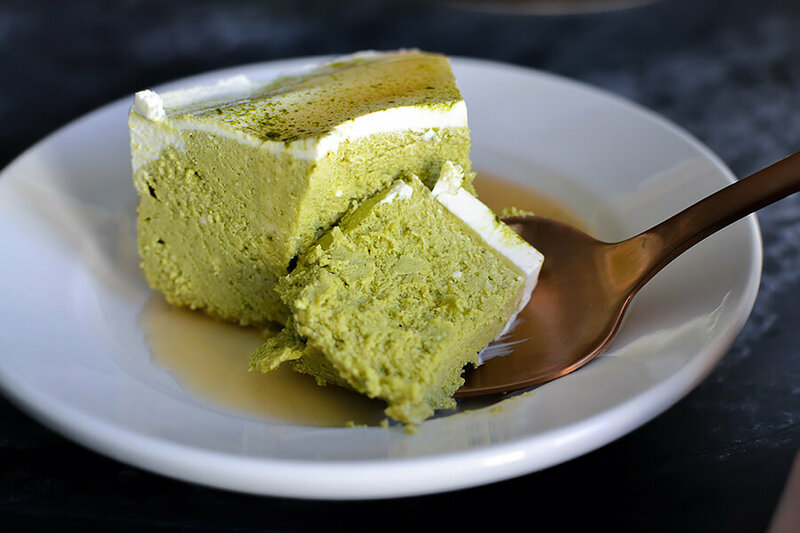 I like to garnish the top with a sprinkle of matcha powder. 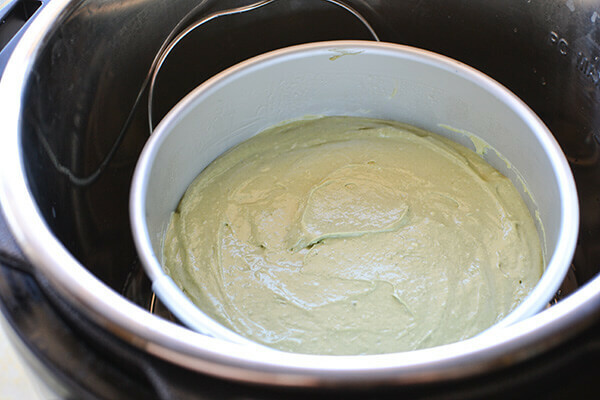 This makes a total of 6 servings of Instant Pot Matcha Cheesecake. 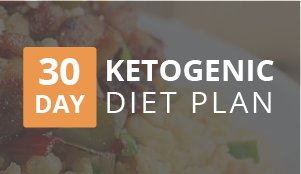 Each serving comes out to be 350.33 Calories, 33.24g Fats, 5.81g Net Carbs, and 8.46g Protein. 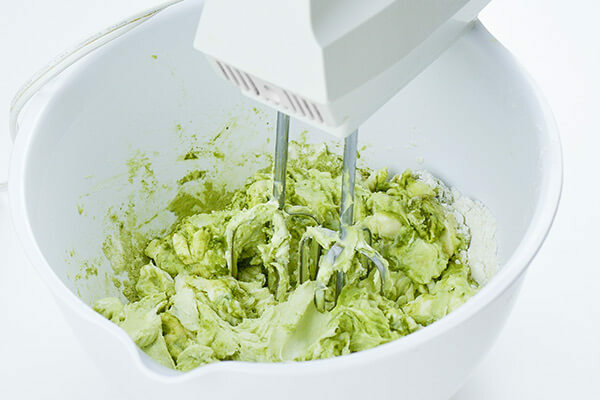 Add the cream cheese, Swerve, coconut flour, vanilla extract, whipping cream, and matcha powder to a mixing bowl. Mix together until well combined. Add in the eggs one at a time. 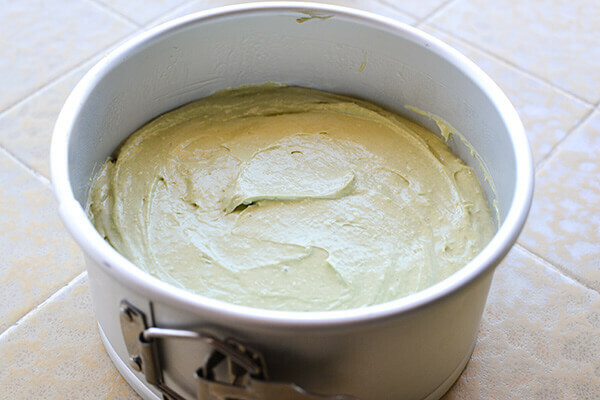 Pour the cheesecake batter into a well greased spring form pan. 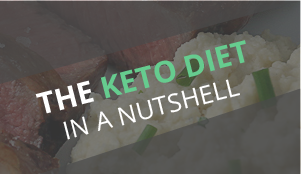 You will need a pan that is no larger than 6-7 inches so that it fits inside your Instant Pot. 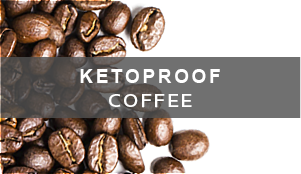 Pour 1 1/2 cups water into the bottom of your Instant Pot. Place the steam tray inside with the handles facing up (you will need these later.) Place the cheesecake on top of the tray then lock the lid and make sure that the valve is sealed. Pressure cook on high for 35 minutes then allow a 20 minute natural release. When you open the Instant Pot there may be some water on top of the cheesecake, just gently pat it off with a paper towel. A lot of the times I also find some cracks, but they are easily covered up with the sour cream topping. 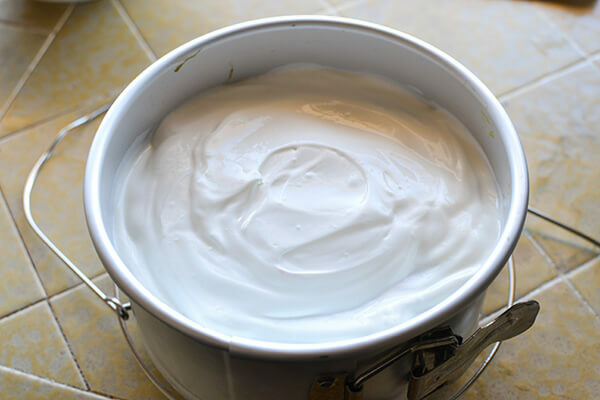 Mix the sour cream ans Swerve confectioners together. Spread it out over the top of the cheesecake. Allow the cheesecake to fully cool then store in the fridge for several hours before serving. Making this the day ahead is the best. I like to garnish the top with a sprinkle of matcha powder. Serve with a drizzle of sugar-free maple syrup. 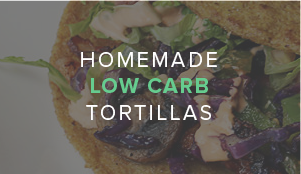 We have a recipe for a homemade version, but store bought is also great.